Medical marijuana has been legal in California for almost two decades. While it may be almost commonplace at the state level, it is still illegal according to the federal government. As a result, medical marijuana use is a murky area of employment law that is still undergoing change. Recently, a federal judge in California allowed a plaintiff to pursue a wrongful termination case related to medical marijuana. The plaintiff, Justin Shepherd, filed a disability discrimination claim after he alleged that he was fired for using his medical marijuana prescription. Shepherd was prescribed marijuana to deal with chronic and acute anxiety. At the time he was diagnosed, he had worked for a Kohl’s department store for five years. Kohl’s corporate policy states that employees in California would not be discriminated against for medical marijuana use if they had a valid prescription. However, Shepherd was injured on the job and subsequently drug tested. After he tested positive for marijuana and failed the drug test, he was fired. Shepherd sued Kohl’s, alleging that his termination violated an implied contract, resulted in defamation, and violated the covenant of good faith and fair dealing. In the trial court, many of the plaintiff’s claims involving federal laws were dismissed. However, the judge found that a reasonable jury could decide that Kohl’s corporate policy created an implied contract for medical marijuana users in California. Because of the company’s stated policy, the judge allowed the plaintiff to continue with his case. While the case depends more on how the plaintiff’s employment contract and actions are interpreted, the case shows that medical marijuana is still a tricky area of the law. In California, the state’s Supreme Court has held that the rules legalizing medical marijuana only exempt citizens of the state from criminal charges. It is still legal for an employer to refuse to hire an employee who uses medical marijuana or terminate an employee who uses marijuana in violation of company policy. Even though many people use marijuana for medical purposes, so far state courts have been unwilling to carve out an exception under the Americans with Disabilities Act or other labor laws. However, as the law changes to reflect society’s opinions on marijuana use, it is likely that employees will soon have additional protections at work. 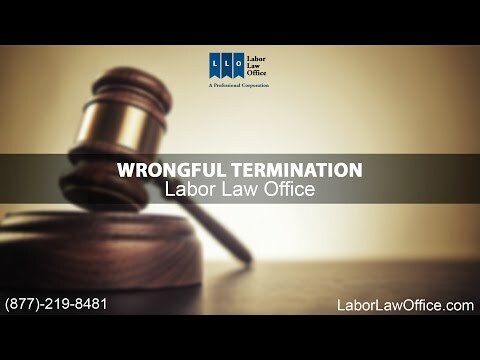 If you have any questions or concerns regarding a wrongful termination, contact Labor Law Office today to speak with a professional wrongful termination lawyer in Fresno. Is It Still Retaliation If You’re Fired For Something You Didn’t Do? My employer is asking me to break the law or commit a crime. What do I do? How Late Is Too Late To Receive Your Paycheck? Is being paid cash worth it? Home » BLOG » Can A California Employee File A Wrongful Termination Lawsuit After Legal Marijuana Use?